In Italy, there are a number of mobile phone operators. Some of the famous ones are Wind, TIM and Vodafone. 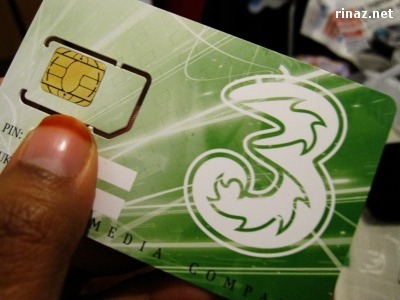 I use my phone more for social media and internet, so Tre seemed to fit me the best with their prepaid internet plan at 3GB at 5 euro a month. I’d usually top up with 10 euro a month so the rest would be more than sufficient for making phone calls. Depending on some places, sometimes it’s hard to get a good reception, but most of the times it’s been satisfactory. The annoying part is, sometimes I get calls from the operator asking me to upgrade to a new plan, to which I’d usually answer, I’m not interested in. And sometimes I get promotional advertisement SMSes, but I get that with the operators in Singapore too, so I guess that’s common. Anyway, last Saturday, first February, I recharged my phone with 10 euro as usual. But come Monday, I had a rude shock when I received an SMS notifying that I only had 50 cents left and that I should top up soon. Huh? How was that possible? So I logged on the customer service website and looked through my history. Apparently, 7 euro was used to purchase a service called gocinema. But I don’t remember ever giving authorisation to make this purchase. Gocinema might seem like a good deal, you could go to any cinema in Italy and watch any movies you like from Monday to Friday with a partner. BUT I didn’t ask for it. I didn’t want it in the first place. Later on, doing some research online, I found out that phone operators in Italy has a premium SMS service that once you receive it, it might automatically open a website, which in turn allows the operator to claim that you’ve given them permission to sign up for additional services. I’m extremely unhappy about this. To me, this is a dirty trick to cheating the customers into paying more without them even knowing it. Shame on you! In the meanwhile, a way to protect yourself is to ignore all SMSes from your operator, activate barring SMS and block all services from Postemobile. Yeah! And you’d always have to chase after them to give you back your money! Sounds like a load of crap, but just for some perspective, for the same amount of data and what I’m guessing you’re getting for talk/text, you would pay roughly 74 – 96 Euros a month. The real mobile provider robbers are in the United States, which is a corporatocracy, by the companies, for the companies. So tired of companies screwing me over here. I’ve been arguing with my ISP/Home security company for 3 months over my bill from a huge overcharge they keep trying to bill me for. 96 euro a month for mobile coverage?! Oh my gosh, that’s a lot! I thought it would be cheaper there since you have so many providers, you know with competition and all. That’s what I thought too, and supposedly that’s how it should be, but competition here doesn’t create better prices for customers. Instead it seems like companies are competing with each other to see who can set the highest prices and still get customers, then the others follow suit. Right! That reminds me of the fuel situation here in Italy. It used to be government controlled, so the prices were standard regardless where you go to. But then it changed for privatisation. One would have thought that the price will go down due to competition, but instead it slowly rised as they compete with each other to make the most profits. When I first arrived in Rome, I remember the price to be 1.10 euro a litre of fuel. Now it’s common to see it at 1.80 euro. I know about the inflation and tax increase and whatnots … but still.